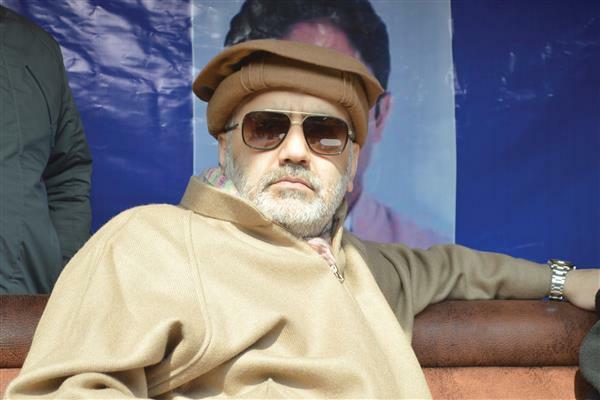 Irfan Raza Ansari the Peoples Conference nominee for Srinagar Lok Sabha constituency is pitted against National Conference patron Dr Farooq Abdullah. Irfan Ansari is younger son of Late Molvi Iftikhar Ansari the top Shia cleric of yester years and younger brother of Molvi Imran Raza Ansari the Peoples Conference general secretary and former minister. 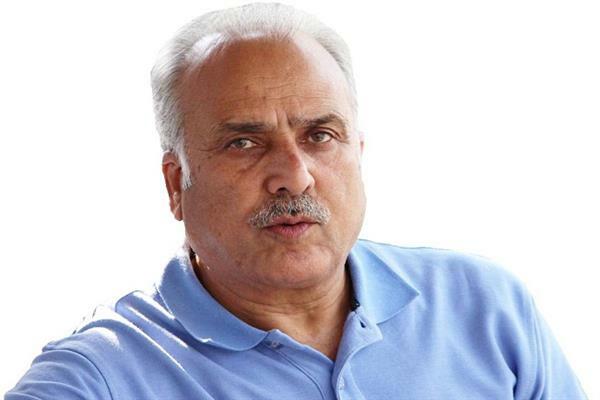 Irfan Ansari in his maiden electoral contest from Srinagar Lok Sabha constituency is pitted against National Conference president Dr Farooq Abdullah a three time former Chief Minister. 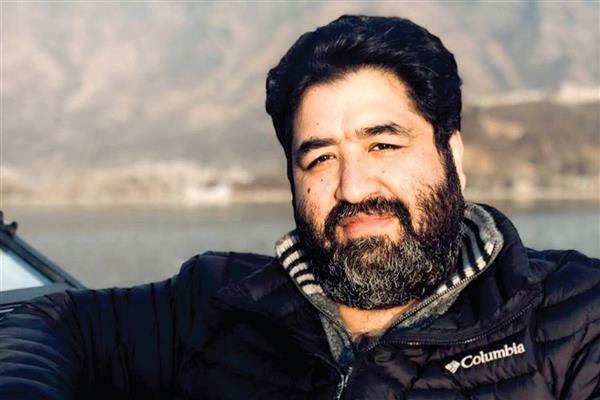 Kashmir Magazine special correspondent, Mubashir Ahmad tried to get answers to all these questions, amongst others from Irfan Ansari. You are contesting the Parliamentary election for the first time. How are your preparations going? 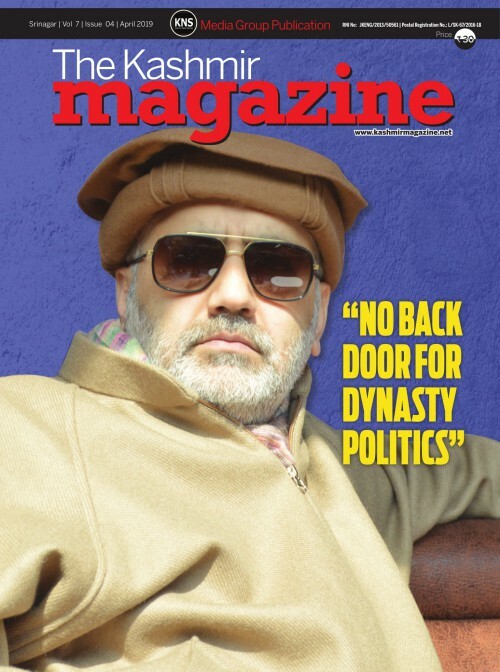 First of all I am thankful to the party leaderships who found me capable of contesting the Srinagar-Budgam Parliamentary election against the National Conference Patron, Farooq Abdullah and gave me an opportunity to represent the people. The election campaigning is a tough exercise and being a first timer in the election process as a candidate I am seeing how difficult it is to contest a parliamentary election and experiencing the things first hand. The path would have been smoother had the earlier political parties like National Conference and Peoples’ Democratic Party played their role in the direction of the harmonizing the electoral politics in the state. These parties have created a ‘political bankruptcy’ in the state and people seem less interested in the electoral politics as these parties have raised hopes and aspirations of the people time and again but belied them. We new comers have to bear the brunt of the ‘false promises’ of PDP and NC equally as people seem have lacked faith in the election process. These two parties have promised people to solve their problems and provide services in citizen-centric way but in vain. When I as a new comer go to the people and persuade them to vote for me the anger in their eyes and body language is evident. These two parties who have been blaming government of India for the ‘political bankruptcy’ in the state are actually themselves responsible for this mess. 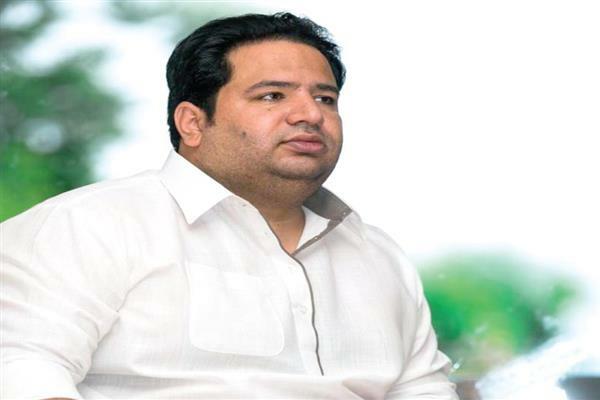 Mr. Irfan you are saying that you are a first timer in the election process as a contestant but you are running against a political stalwart of the state, Farooq Abdullah who has been the chief minister of the state as well member of parliament several times. How do you view the contest? Farooq Abdullah sahab has defeated my late father once and that time also he had promised many things to people but later did not fulfill them. No doubt he was elected to the parliament several times but I respect him only because he is elder to me and his political stature is meaningless to me. A politician who can’t fulfill the promises one makes to the people should not be respected because of the political stature. What will you tell the people so that they will vote for you and not Farooq Abdullah Sahab? It is very difficult to convince people to vote for change as they have been deceived by the oppressive traditional political parties. We as a party will never promise people that we will give you ‘Autonomy’ or ‘Self-Rule’ or resolve the India-Pakistan issues. Our top priority will be the development of the state. We will work to improve the education system, provide youths employment, and improve sustainable entrepreneur culture and work to solve all the major problems that people face. How different will be your politics? How it will vary from the traditional politics? The traditional political parties are only making false promises. They have made tall promises to people but have not worked on them. They have deceived the people who elected them to power. We will not let that happen. We will only promise those things which we can fulfill later. With development there is also political issue in the state of Jammu and Kashmir. 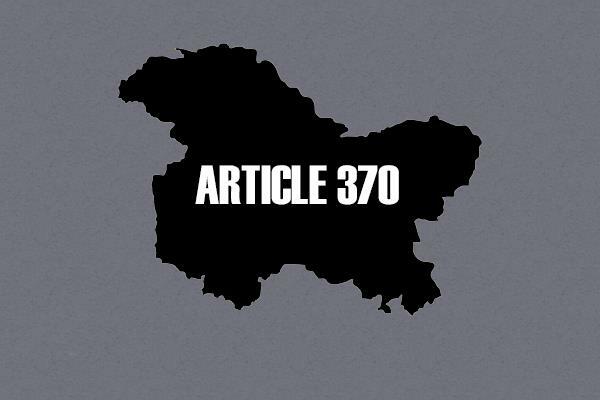 If you are elected as the Member of Parliament will you say the same language in the parliament what you are saying today to people in Srinagar. There is no urgency or push or pull that can force me to say anti-Kashmir things in parliament. I will talk about the Kashmir and raise the issues of the people who have elected me. I am being elected for this purpose to act as a representative of people in the parliament. Perhaps, we have developed this mindset because of the traditional politics in the state. JKPC has emerged as a new force to end this oppressive traditional politics to set free the minds of the people. Dual face is the character of NC and PDP. 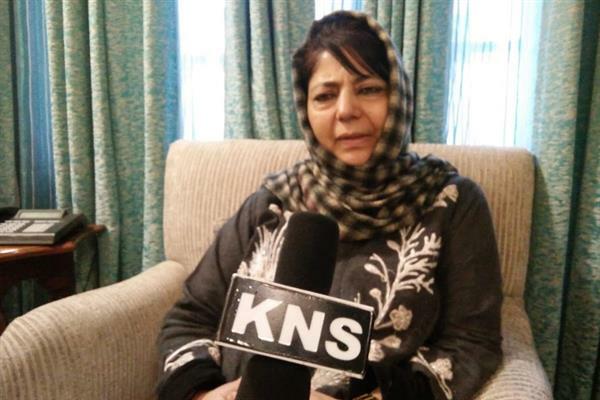 It was Farooq Abdullah who said that NC will boycott the elections until government of India will stop tinkering with the special status of Jammu and Kashmir. It is amusing how boycotting Panchayat and Municipal elections have restored the special status of the state which NC has eroded. When it has been decided that special status of the state will not be touched and Farooq Sahab has now decided to contest the parliamentary election. It is just another tool used by NC to deceive people otherwise all know that Panchayat and Municipal elections are meant for local development and derailing local democracy was the primary objective behind the boycott. I am requesting people to just give once chance to People’s Conference and don’t choose the people from NC and PDP who have deceived you time and again. If we will not deliver the promises we made to you we will quit. What was the response of your ‘public reach-out’ programmes? We received good response from the people. There is also anger in the people and it is evident in their eyes and body language but again there is hope too as they are viewing PC as a viable alternative to the oppressive dynastic politics in the state. I request people to become a part of the change by using your vote and choose the right leaders who can take decisions in your favour tomorrow. Various political and socio-religious organisations have been banned in the state by the government of India. There is unanimity among all the political parties that Jamaat-e-islami and JKLF ban is wrong and they have adopted ‘protests’ as a form of dissent. Some leaders from PC are viewing it as ‘drama-baazi’. How are you viewing this? I am afraid that if we have not succeeded in the elections the parties like NC will send proposals to ban our political party too. It is the NC who has envisioned the ban on Jamaat-i-Islami in 1989 when Farooq sahab was the Chief Minister. It has been the tendency of NC to ban all the organisations that provides an alternative thought which is antithetical to NC. If you are saying that it was Farooq Sahab who had sent a proposal to government of India to ban Jamaat-e-islami then why people are again rallying behind NC and political analysts are saying that there is NC wave this time and may likely swept the elections. I don’t see any NC wave. It may be in the minds of the leaders of NC who became leaders by deceit and deception. Now the nation has awakened and I am hopeful that this time people will choose right leaders and not thieves.